The world is changing—fast—and one of the biggest and most notable changes in mankind’s recent history has been the way in which we communicate. Looking back just 10 years, the pace of change has been nothing short of dramatic and with this evolution has arrived a group of end users who really know what they want. Consumer and enterprise customers are more demanding than ever before and they want to be connected 24 hours a day, 7 days a week, 365 days a year, no matter where in the world they are located—on land, sea or in the air. The scale of this demand is really becoming evident and it’s huge. 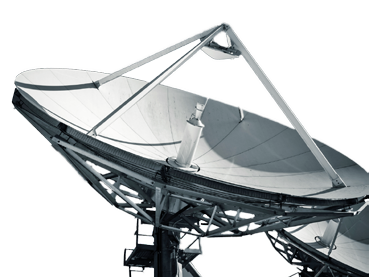 As a teleport operator, STN is at the forefront of the satellite industry and is constantly monitoring the trends, drivers and the markets that affect the sector. The North American market is one of the leading and most developed markets in the world and is responsible for setting guidelines and trends for other regions. What happens in North America sooner or later happens elsewhere— this article is certainly relevant not only to the North American market but also will eventually apply to the rest of the world. expensive they were to run, or how cumbersome they were, it was a simple pleasure to pay for a crackly call because it allowed the user access to connectivity outside of four walls. It was a different experience. Today, the mobile phone is experiencing an inexorable rise in popularity which has swept the entire planet. It is our reliance upon these kind of networks that has made connectivity indispensable. Mobile phones and digital devices are no longer a luxury but a necessity, not only to businesses but to everyday life. The loss of a 4G network for even just a few seconds cannot be tolerated—its means the loss of immediate access to calls, texts, emails, social media and even television connections. From large corporations to small and medium enterprises, interruptions to 4G and Internet access could mean a loss of profits. However, it’s not just the mobile phone phenomenon that is creating further demand for connectivity in the North American market. The Internet of Things (IoT) is the inter-networking of physical devices. This could apply to domestic appliances such as cookers, central heating, refrigerators. It also applies to vehicles, buildings and other items that are embedded with electronics, software and network connectivity that enable these objects to collect and exchange data. This evolution in monitoring is set to take the consumer and enterprise sector by storm and will require increased Internet capacity. While much of this can be satisfied through terrestrial networks such as fiber, WiFi and 4G, in many cases, satellite is be the only connectivity option. These technological advances are incredible but there is a sinister side that is not directly related to satellite or teleports and must be effectively mitigated—that is cyber crime and cyber security. There have already been some significant incidents where cyber crime has plagued businesses and users. Cyber security’s importance cannot be underestimated and must be embraced by all technological sectors, not only the satellite industry. The incidents of cyber crime will only increase and must be tackled before additional harm can be done to users of technology, such as the hacking of car controls while the vehicle is being driven. The consequences could be disastrous. The insatiable need for connectivity is, without doubt, the key driver for the satellite industry and especially applies to developed markets such as North America. Innovation within the satellite sector has been ramped up as the industry determines out how best to compete in this new world order. The advent of HTS constellations in LEO, MEO and GEO is pushing the industry forward. 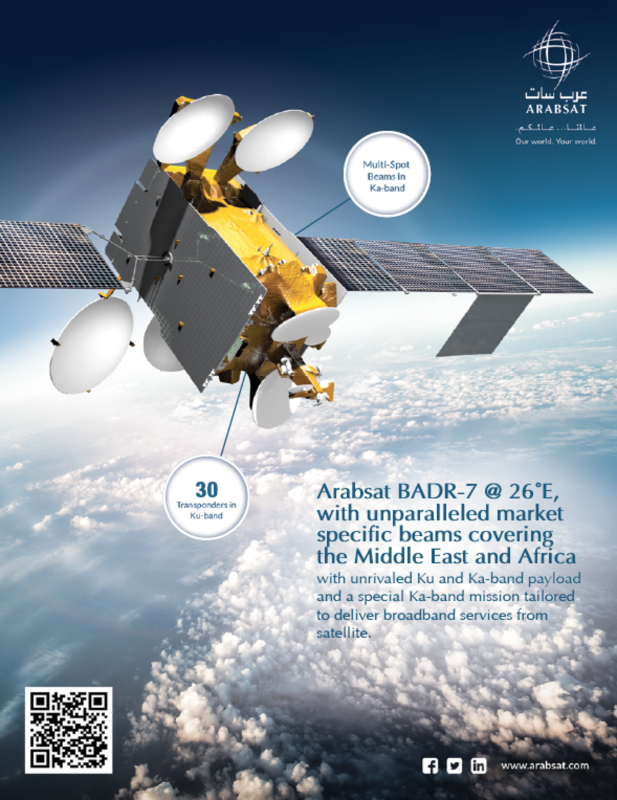 New technologies and capacities are bringing about more efficient modulation schemes which deliver more bits per hertz and newly developed phased array antennas and other technology that enables efficient satellite reception on-the-move. Today, as previously mentioned, connectivity needs are ubiquitous. People want to stay connected whether they are conducting business on a long haul flight, keeping in touch with loved ones during a Caribbean cruise or accessing social media whilst commuting to work on a train or bus. Therefore, antennas must be able to track the movement of any satellite in the sky without the need for any mechanical, moving parts. To remain competitive, transportation companies will have to install new technology to keep up with these trends and to enable their customers to stay connected. This is where satellite technology comes into its own—satellite has its own, unique features that terrestrial technologies simply cannot compete with. Nothing is stronger when it comes to multi-casting and its ability to connect remote areas and this is capability is critical if connectivity is ever to be ubiquitous. 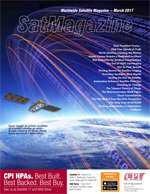 The satellite industry must play to these strengths to compete in the changing connectivity environment. It must remain relevant in this fast-moving world. To a large extent, this is a jump into the unknown. For example, no one truly knows what the impact of HTS and new LEO constellations will be, yet these movements are also extremely exciting and challenging. If the satellite industry can do one thing, it the ability rise to new challenges. For the broadcast and media technology segment, end user demands are also evolving quickly—it has become almost too difficult to maintain the pace of new developments. The evolution of new technology such as OTT has created challenges for companies such as STN, but also many new opportunities. Media and broadcast remains a growth story for STN yet the fact remains that traditional broadcasting over satellite is in decline across the North American market. Does STN fear that its markets will gradually disappear? Absolutely not. For the foreseeable future, over the next 10 to 15 years, satellite will remain a highly relevant and effective means of broadcasting. In terms of the evolution of the market, does STN see big changes ahead? Yes, most definitely. However, what is important is how these changes are handled and whether a business is willing to create opportunity out of change. It’s not always easy to accomplish this feat, but despite recent developments, there are still many opportunities to do good business and the satellite industry can continue to grow and develop. In recent years, there has been a major shift in traditional linear TV, especially with younger generations—the ‘digital natives.’ However, there are still a most significant number of viewers who enjoy the tradition of sitting in front of a TV set to watch their favorite shows. With the emergence of Ultra HD and well established and widespread HD quality in demand across all of the mature and developed markets, as in North America, there is plenty of work to be addressed and money to be made. The traditional TV will most probably and eventually fade out, but this is not likely to happen anytime soon. What About the Future for Teleports? For any teleport to prosper in the future, there are two elements that need to happen. The first is increasing the diversity in markets that will present the opportunity for steady growth over the coming years. This means companies that have focused heavily on the North American market in the past will have to look to replace some, if not most, of their revenues in other parts of the globe. South America, for example, offers a great deal of opportunity and is a huge and emerging market with lots of potential for exponential growth in future years. Teleport operators will need to diversify and look past their own backyard to find new opportunities in emerging markets. If they remain in the current operating environment, they will not survive. The implementation of add-on services will also be important in the future. Customers want fully managed services from a single provider. Hybrid solutions can enable operators to deliver traditional satellite solutions as well as the delivery of OTT services—it’s all about being flexible and offering customers a variety of choices. The second approach must be to look to the future. Operators must predict the services that will be in most demand and look out for particular connectivity trends they can capitalize on in the years ahead. This is challenging, as most of the services are being offered by satellite operators themselves. This raises concerns for companies such as STN, but is a challenge that must be accepted in order to survive in today’s highly competitive environment. Will the satellite industry still exist 20 years down the line? Will the need for traditional linear TV simply disappear? Will future generations even know what a TV set looks like? Will we have to leave the house at all to shop, work, socialize and entertain? reassess the way in which the teleport does business, to examine ways to complement other technologies and then to play to STN’s unique strengths. There are many differing opinions as to which direction the satellite industry should take and there are challenging times ahead. However, this kind of evolution is what makes business fun and STN is ready for it. As a Senior Director, Mitja Lovsin is responsible for the performance and development strategy of STN, including all aspects of global commercial sales and personnel structure. With more than 12 years in the satellite industry, Mitja has gained a strong insight into the business and has adapted his professional experience from previously held senior positions to further enhance the company’s profile and advancement into new and existing regions. 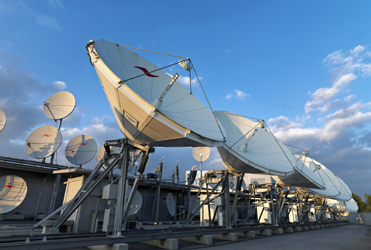 STN provides world-class broadcasting and transmission services to TV companies, video entertainment platforms and service providers located across the globe. 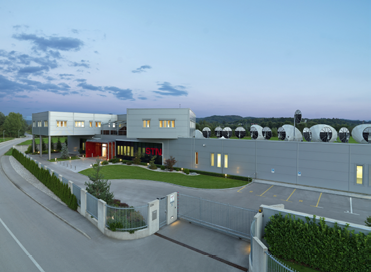 The company owns and operates a state-of-the-art satellite teleport based in Slovenia which was named Independent Teleport Operator of the Year 2016 by the World Teleport Association (WTA). STN offers a broad portfolio of media services including uplink, playout, encryption, multicast and channel localization services, enabling a wide range of customers, from start-up channels to blue-chip global media leaders, to rapidly and efficiently deploy quality services. 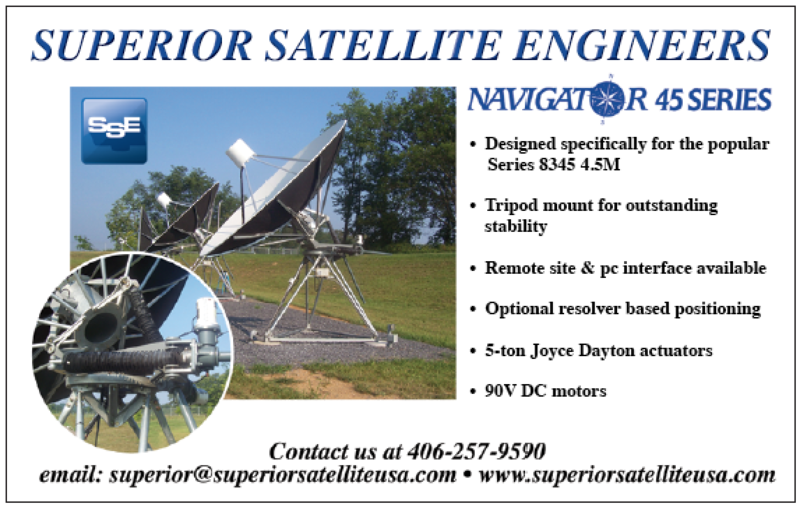 With its advantageous geographical position reaching all commercial and popular satellite orbital positions, STN helps its customers attract and engage new audiences and expand into new markets by leveraging high-quality capacity on a wide and continuously expanding range of spacecraft. STN services enable coverage over multiple regions to provide a worldwide reach, STN has PoPs in a growing number of key broadcast centers around the globe, links to major European data centers, and connectivity with worldwide fiber networks.